We want to show off our brand new application BILLING, which will be appreciated by anyone who wants to have order in their billing process. 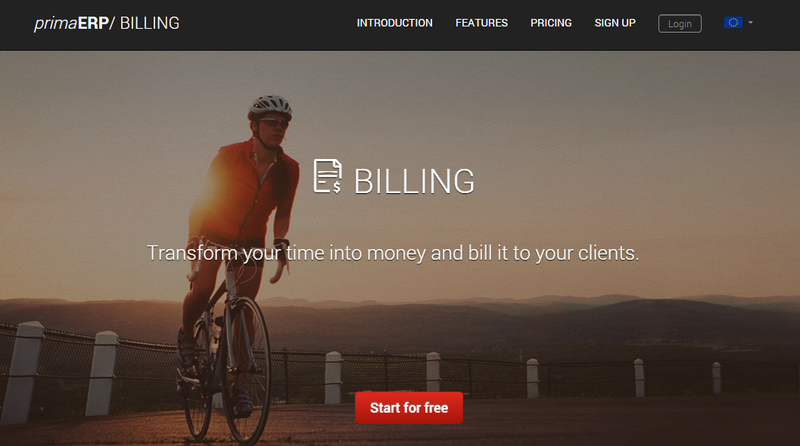 Now, thanks to BILLING, you can convert the time tracked in TIME TRACKING into money by billing it to your clients. How do I access BILLING? Its very simple! BILLING is located within the application. An example could be a translator, who works with different hourly rates for each of his activities, such as translation, research and consultation. He can set up all of his hourly rates with our pricing feature, just track his time and create a bill based on these time records for his client in a few clicks. If he decides to give a big discount to one of his loyal clients, he can simply create a new hourly rate combination. Thanks to the precise time records, which will be automatically marked as billed and the possibility to mark bills as approved, he will always have a clear and updated overview of all his bills. BILLING will also be appreciated by companies which work on several projects with multiple employees. It is possible to set specific hourly rates according to the project and employees (users), allowing you to have a complex hourly rate policy and price your time down to the penny, while still being able to bill it in a fast and easy way. Simply insert your time records to the bill, add other items, such as transportation costs, personalize it with your logo and signature and send the bill to your client. Want to know more about BILLING? ...And last but not least: it’s free! Now each owner of a primaERP account has absolute free access to the BILLING application. You can keep it for yourself or give it to any of your team members. What are you waiting for? Try BILLING and share your experiences with us!